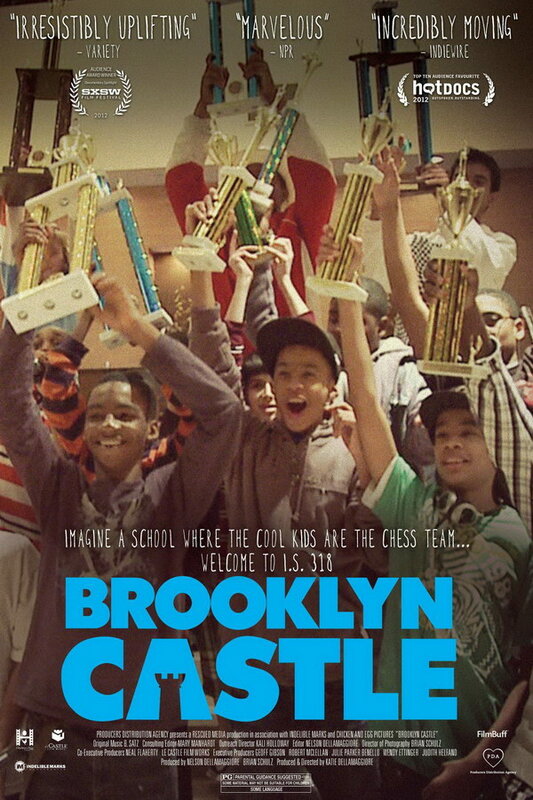 Brooklyn Castle font here refers to the font used in the poster of Brooklyn Castle, which is a 2012 documentary movie about Intermediate School 318, an inner-city public school in Brooklyn, New York. The font used for the movie title in the poster is probably Futura Extra Black. The font is a commercial one and you can view more details about it here. In addition to Brooklyn Castle, Futura typeface is also used in the following logos, movie posters or album covers etc., including: Native, Big Lots, The King’s Speech, The Hundreds Logo, Victorisous, Resistance Fall of Man, Occupy Wall Street, Liv and Maddie (TV Show), USA Today, Lemme Freak, Life of Pi, Caillou (TV series), Rocket League, The Five-Year Engagement, Hangover.